Deals in this category are indicated area only. All sales are final. We have limited quantity; most deliveries are inside delivery and set up for your convenience unless indicated as inside delivery only. • IF YOU LIVE OUTSIDE ABOVE AREA PLEASE CALL FOR A QUOTE. This service includes bringing the merchandise inside your residence, unpacking, full assembly and placement of the merchandise in the room of your choice. SHIPPING and ASSEMBLY is FREE on orders over $999.99 to above. 1. All orders are processed within 24-48 hours of placement. 2. Most products are available for immediate delivery and arrive within approximately 2-7 business days. However, it has to be mentioned, that the delivery time depends on what a customer actually orders, because sometimes some of the products that we offer take longer to arrive. Especially, if the product you ordered are oversized, too fragile or imported, because such products require thorough inspection against scratches, chips and cracks prior to shipping and we need to take extra precautions to avoid damaging during transportation. 3. After receiving your order we always follow up with a phone call or an e-mail to inform you about the estimated delivery timeline, therefore it is extremely important that you include the best phone number to reach you in your contact information. A minor surcharge may apply for walkups beyond second floor, which varies depending on the size of the product. For more information please contact customer service at 1-(888) - 268 - 7521. Withholding this important information will only complicate and delay the delivery of your order. Neither we, nor delivery team/company will hook up any electrical wires and/or hang anything on your walls,neither freight carriers, nor delivery companies and/or we are licensed or insured for such services. Should your order call for any such services, kindly make other arrangements with professional and licensed providers to have these services secured. 1. Inspect the merchandise for damage before you sign the Delivery Acceptance form from the trucking company. 2. DO NOT sign the delivery acceptance form until you (or your agent) have inspected the merchandise for damage during shipping. 3. In the event your merchandise has been damaged during shipping notify us immediately. 4. Record the damage on the Delivery Receipt (there will be a special section on the form for you to describe the damage), which will be provided to you by the truck driver and have the delivery team bring the damaged merchandise back to the warehouse for exchange - Do NOT keep the affected part/product - have the delivery team bring it back to our warehouse for replacement. If you do decide to keep the affected part/product - the sale will become FINAL and no damage claims will be accepted for replacement after the delivery team leaves. 5. No Damage Claims will be allowed if the merchandise has been signed for clear at the time of delivery. 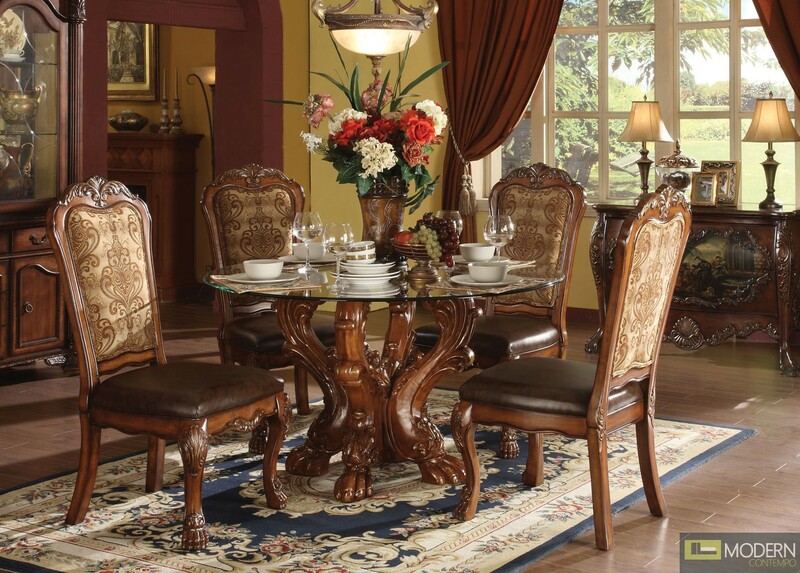 The reason we provide FREE ASSEMBLY (the most expensive service in the furniture industry) is to make sure that the product is received and accepted by the customer in good condition so that all the parties are satisfied and protected and to eliminate the possibility of Damage Claims after the merchandise has been signed for clear. 1. ASSEMBLED FURNITURE IS NOT RETURNABLE. If you wish to return your order - do NOT assemble the furniture and/or do NOT let the delivery team assemble your furniture. ASSEMBLED FURNITURE IS NOT ELIGIBLE FOR RETURN. 2. Our customer service representative must be notified within 48 hours after the delivery if you wish to exchange or return UNASSEMBLED merchandise for refund. 3. Contact our customer service representative within 48 hours of receipt of your purchase in order to obtain the RMA (Return Merchandise Authorization) number. No returns or exchanges will be accepted without the RMA number. 4. The RMA numbers are valid for 7 (seven) calendar days, accordingly, the returned merchandise must be shipped to us no later then 7 calender days after obtaining the RMA number for exchange or refund. 5. The merchandise must be in its original mint (brand new) condition. No refunds or exchanges will be allowed if the merchandise has been assembled or used. 6. All eligible returns and exchanges are subject to 25% restocking fee - NO EXCEPTIONS. 7. Damage and/or defect is NOT a valid reason to return the product without the applicable Restocking Fee. All defective parts/items will be replaced at no cost to you. 8. Carefully repack your return in its original packaging including the entire manufacturer accessories as well as the manufacturer warranty cards and paperwork. Enclose the original receipt with your return. No returns will be accepted without the receipt. 9. All returns must be double boxed (manufacturer’s box inside the shipping box). Clearly mark the RMA number on the shipping box. Never write anything on the manufacturer’s box. For your protection we suggest that you insure the package before shipping, to avoid being held responsible for damages or lost merchandise during shipping. We are not responsible for merchandise being lost before it reaches our warehouse. 10. No returns will be accepted without the original manufacturer packaging. 11. No C.O.D. deliveries will be accepted. Freight must be paid directly to the carrier. 12. Original shipping charges are non-refundable. 13. Shipping charges to return merchandise are non-refundable. Please allow up to 15 calendar days from the date we receive your return to process your refund. The refund will be issued and credited to the original card account, which was used to complete the order. If you made your purchase by check or money order, your refund will arrive within 2-3 weeks of receipt of the returned merchandise. FurnitureDepot.com does not refund the original shipping charges or reimburse the cost of return shipping. Modern White or Black w/Leatherette Upholstered Bed Only MCGSB1235 Free Inside Delivery for DMV metro area.